Ultimately, the experience your audience has will dictate the success of your event. From interactive content to engaging speakers to networking games, there are countless ways to make your event memorable. 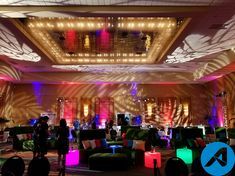 As a firm with deep roots and expertise in A/V, one of our favorite ways to up the ‘Wow’ factor at an event is behind the scenes. It’s amazing how the evolution of audio/visual technology allows you to turn up the volume (so to speak) so seamlessly attendees will be impressed and may not even know exactly why. 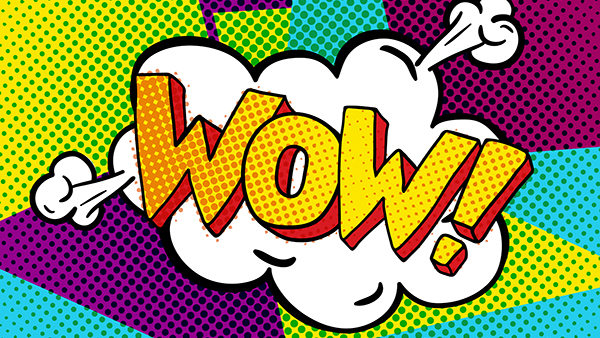 Here are some of the best things happening in A/V right now, many of which can save time and money for you while appreciably – and seamlessly – enhancing your attendees’ experience (and check out the Infographic at the end of the post). Video walls are durable, versatile, and high-definition. There was a day not too long ago when viewed too close, video walls were like looking at a see-through net with up to an inch between pixels. Today, even the largest scale video wall is like watching a TV screen, with up to 3mm panels for super high-resolution images. LED displays offer incredible brightness and are waterproof too, so are great for outdoor video walls. Video makes an impact. Stanford professor Chip Heath (author of ‘Made to Stick’) found that 63% of people remember stories, but only 5% remember a single statistic (1). Also, 65% of people are visual learners (2). Put those two impressive stats together, and it’s clear that video will have an impact. It’s a perfect medium for storytelling or simply to add to the atmosphere. So when the goal is creating something your audience will remember, rely on the power of video. Wireless is taking over. Where it used to be unthinkable to do that demo without a hardline connection, we can now comfortably do so. And as the reliability of wireless increases, the number of products that stop using cords and cables grows. Video, audio speakers, lights… what’s next? They’re wirelessly controlled and getting smarter by the day (i.e., – some of them even talk to each other). And with every wireless solution you add, you cut cabling. That can cut major costs in both cable rental fees and labor hours. A large conference, for example, will have thousands upon thousands of feet of cable and installation can take days. You’re also removing the hurdle of hiding cables, leaving a super clean and tidy look to your event. Video + Sound + Lighting = Experience Creating memories that stick means giving your audience an experience that’s personal, imaginative, and captivating. If you’re not quite ready for virtual reality, you can still create a powerful experience with a combination of multi-screen video, booming surround sound, and lighting complimenting each other to put the user inside a story. If you want an example of how this could work for you, let’s talk!